An example of a re-enrollment notice sent to Missouri Medicaid enrollees last year. 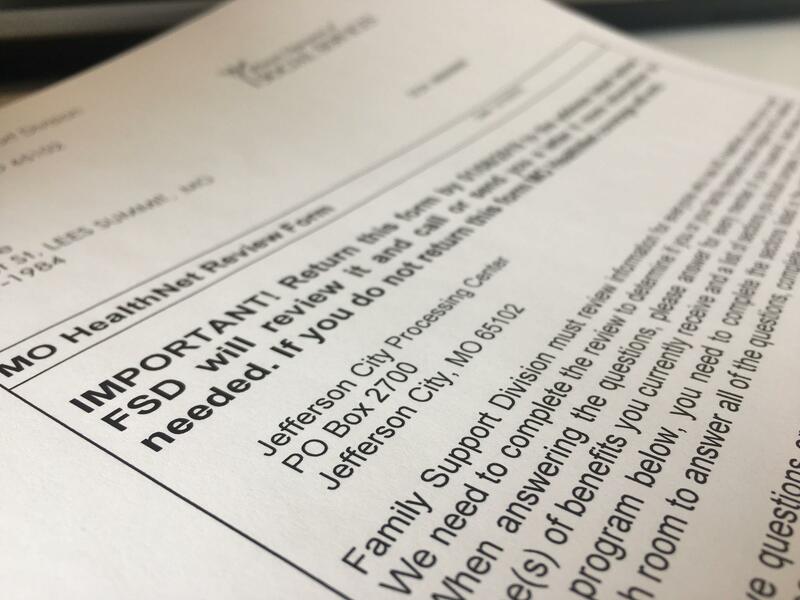 Some health experts and state officials are concerned people otherwise eligible for the program are living without insurance because they never received the mail. “Folks who were eligible might have been dropped through no fault of their own, frankly despite significant effort on the part of the state to locate them,” said Sen. Scott Sifton, D-Affton, who requested enrollment data after learning about last year’s 7 percent drop in enrollment. 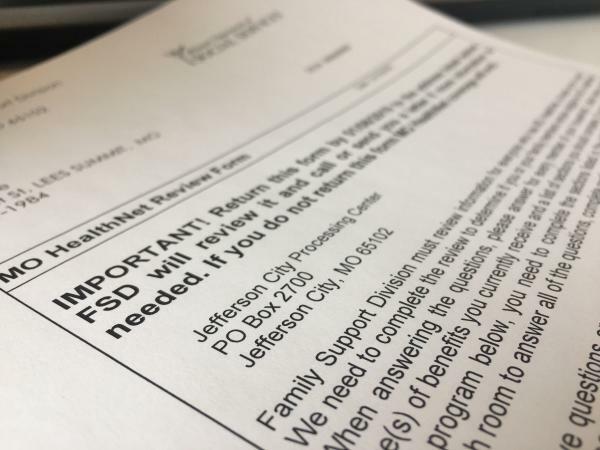 Enrollees could have not responded for many reasons, said Department of Social Services Family Support Division Director Patrick Luebbering in a written response to Sifton. For example, they could have gotten new insurance through a job and may not need Medicaid. The drop in Medicaid enrollment also mirrors a similar drop in the Supplemental Nutrition Assistance Program, formally known as food stamps, indicating many people are doing better financially and don’t need assistance, Luebbering wrote. However, the state dropped more than 20,000 people in 2018 because it wasn’t able to find them, according to the letter. The Medicaid population is more likely to be homeless or live in transient housing situations, said Missouri Medicaid Oversight Committee Chairman Tim McBride. That makes paper renewals a sometimes less-effective way to get people who are eligible enrolled. The state also hasn’t completed an audit to determine Medicaid eligibility in several years due to the state’s outdated computer technology, McBride said. “All of a sudden, they started to do that on a very large basis and started to catch up; they sent out a ton of these letters. One of the reasons we get such large numbers is because we did it all at once,” he said. If a person feels they were unfairly dropped, the state instructs them to contact a call center to get their eligibility sorted out. However, the average wait time for calls to be received was close to a half an hour. Almost half of the calls to the center were abandoned, according to Luebbering’s letter. Calls sometime take much longer, Sifton said. The Department of Social Services says it’s working with the call-center vendor to hire more staff to answer phones and make the system more efficient, the letter reads. The amount of children the state removed from Medicaid is also concerning, said McBride. Nearly eight in 10 who the state deemed ineligible are children.